If you have worked with virtual machines, then you are familiar with the VMware icon that lives in your system tray. That little icon represents something called VMware tools. VMware tools can be downloaded from VMware’s website, or they may already reside on your VMware vSphere ESXi host, depending on which ISO you used to instal VMware vSphere ESXi. 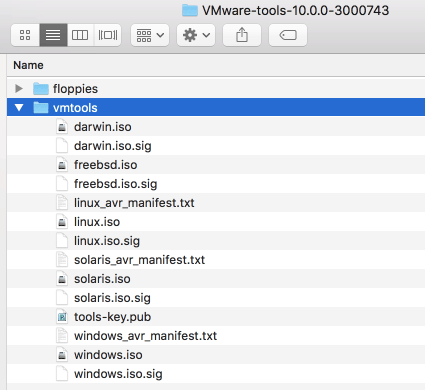 You may not have thought much about the VMware tools icon, since it lives on every VMware virtual machine, but VMware tools are essential for virtual machines. 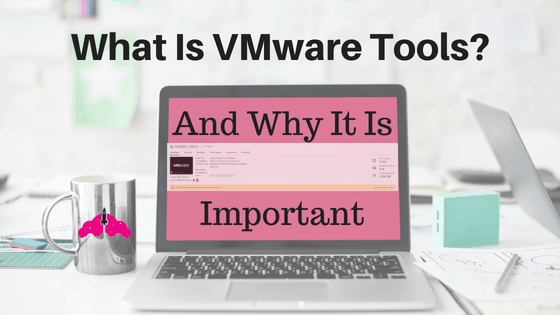 We are going to talk about how two install VMware tools for Windows based machines, as well as how to install VMware tools for Linux, but before we do, let’s take a look at why VMware tools is so important. This small software package developed by VMware is installed on virtual machines running on the ESXi hypervisor. Have you ever deployed a virtual machine from an ISO image to find it just is not acting correctly? Perhaps you have encountered issues with your mouse, or resolution issues in the virtual machine. Chances are you then installed VMware tools and your problems went away. In the physical world, with servers or even laptops, we often must install specific hardware drives provided by the equipment vendor. Since VMware abstracts the physical hardware underneath the hypervisor, or virtual machines do not care what hardware is underneath them, even if it is changed. Hardware specific drivers are usually related to the annoyances we just talked about, like choppy video or sound, so we still need some sort of replacement for them. VMware tools is that replacement. Think of VMware tools as the replacement for the hardware drivers provided by hardware vendors. Sure, those things are annoying, and VMware tools makes our life easier by fixing those problems, but they are for more than just that. Why Is VMware Tools Needed? Besides the annoyances we just talked about, VMware tools also provides additional functionality. Remember, hardware abstraction is just one benefit of virtualization. There are many many benefits, another which is the ability to take a snapshot of a virtual machine. When we take a snapshot, we are taking a point in time picture of our virtual machine. We can revert to the original and discard the snapshot if something goes wrong, like a bad patch or failed application upgrade. However, how do we make sure that picture does not come out cloudy, or is not overexposed? This is another place VMware tools comes in. According to the VMware tools KB, another key feature of VMware tools is “the ability to take quiesced snapshots of the guest OS”. Quiescing is a fancy way of saying VMware tools makes sure no one is moving in the picture and it doesn’t come out fuzzy. To really make sure our picture is not fuzzy, we do need more a bit more pausing than this. While VMware tools’ quiescing will take care of many things, it will not take care of the application specific things it cannot sense. Never fear, there are other ways to do this, and you can find a great overview of how to make sure your virtual machine is in a consistent state for snapshots and backups here. For more information on what VMware tools can do, be sure to check out VMware’s official KB on VMware Tools. Similarly, vCenter will also tell you when there is a VMware tools upgrade available. You can upgrade by clicking the Upgrade VMware Tools… button or by using VMware vSphere Update Manager. After you click install or upgrade, you can continue the installation in the Guest OS. It is a good idea to always make sure you have installed VMware tools on any virtual machine templates you are deploying so you do not have to continue to do this process every time you create a new virtual machine. As you can see by extracting the VMware tools ISO, VMware has not forgotten the linux virtual machines. Installing VMware tools for Linux is as easy as it is for Windows, in the past, this was not always the case. You can use the above process, or another method if you prefer. If you want to install VMware tools on linux, and you are cringing at the methods above, have no fear, VMware has something very special for you, especially if you are not a linux GUI person. Open-vm-tools, also referred to as openvmtools and open vm tools, is just that, VMware tools ready for you to deploy into your favorite open source linux product. While the name of open my make you wonder where it is coming from since it is such an important part of a virtual machine, you can find it on VMware’s GitHub Repo. You can find more information about VMware tools for Ubuntu on the Ubuntu site. 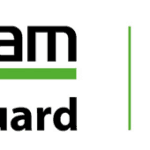 If you are familiar with yum, you may be asking yourself how you can use it to install VMware tools. Yum is the go-tool tool for installing packages with RPM – that’s RPM Package Manager (which used to be called RedHat Package Manager). This is the tool to use if you are using RHEL, RedHat Enterprise Linux. You can also use this method to install VMware tools on CentOS. You will need the VMware package repository, which is located at http://packages.vmware.com/tools. You can browse this directory to find the exact version of VMware tools you are seeking, then install it using the yum command. New VMware tools versions are released with new versions of ESXi for one. Additionally, they may be offered as a standalone patch when the new version of VMware tools offers new features or bug fixes. The simplest way to update VMware tools is to use VMware vSphere Update Manager. With vSphere Update Manager, you can schedule your VMware tools upgrade for the Virtual Machine’s next reboot, to avoid disruption and down time. To learn how to do this, be sure to take a look at the article Updating VMware tools with vSphere Update Manager 6.7 U1. VMware tools is an often overlooked but very important component to any VMware vSphere infrastructures. VMware tools is what allows our virtual machines to do what they do best – work for us! If you do not have VMware tools installed on a virtual machine, you are likely to see issues with resolution, keyboard, and mouse usage. If that is not annoying enough, you will also be missing out on great VMware tools features such as quiescing your virtual machines for snapshots. For more information on VMware tools, be sure to take a look at the official vSphere 6.7 documentation.